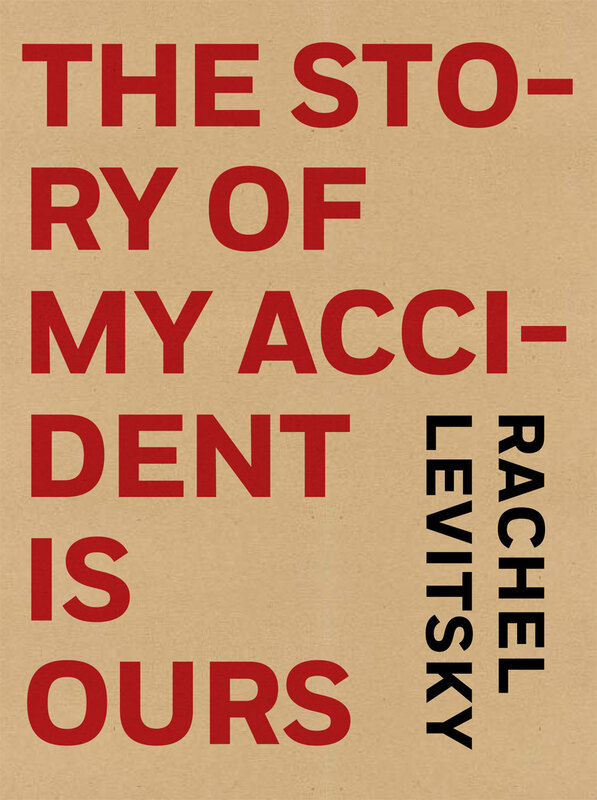 In the respective worlds of avant-garde poetics and radical activism, where Rachel Levitsky has distinguished herself as an organizer, feminist, and visionary, the recent publication of her novel The Story of My Accident is Ours comes as no surprise. In fact, it is a necessary eruption for both literature and our current political climate. For literature, it collapses genres; it makes us think about character and the calamity of human endeavor as we navigate the entrails of critical theory; it leaves us placeless, timeless, eventless as we find ourselves emotionally invested in the story of “the accident” and in the survival of our protagonists. For the historical moment in which we find ourselves, where social consciousness requires a degree of rigor, where one wants to do something to bring about change but struggles to make sense of the available actions, this book allows us to locate ourselves; however, not in the middle of any particular protest movement, rather within the architecture of our own capacity to revolt, to resist. The Story of My Accident is Ours asks: How do we protest? How do we win? And, no less urgently: How do we love? But, it asks by looking behind itself and coming to terms with the predicament that “we came into the world all at once and all one way,” perhaps the first of many accidents to befall us. In an interview from 2009, Levitsky explains, “My work considers spatial relationships as an ethical field.” Though this statement is given in reference to a previous book, it also seems to guide the thinking behind The Story of My Accident. But, rather than looking at relationships between people, we’re studying space at the level of the sentence, between sentences. The question of ethics—how we fight, who we fight, how we commune—is inextricable from the question of composition. What can the sentence do, Levitsky asks again and again. What can it contain? At the very least the sentence of this novel provides a repository for “all the particulars” that no longer fit “within the confines of our chest and breath.” However, The Story of My Accident is Ours is not only a place for solemn, meandering reflection, it also is a means for pleasure and play. One of Levitsky’s greatest achievements in this book is devising a sentence that at once confounds and teaches. This entry was posted in Response Series and tagged architecture of revolt, necessary eruptions, rachel levitsky, Renee Gladman, The Story of My Accident is Ours. Bookmark the permalink.